Holden Decor Pienza Damask Red Metallic Glitter Wallpaper is a dramatic way to update any room in your home. Firstly, this exciting wallpaper is part of the Marcia Wallpaper Collection by Holden Decor. So it will make a welcome addition to your walls. 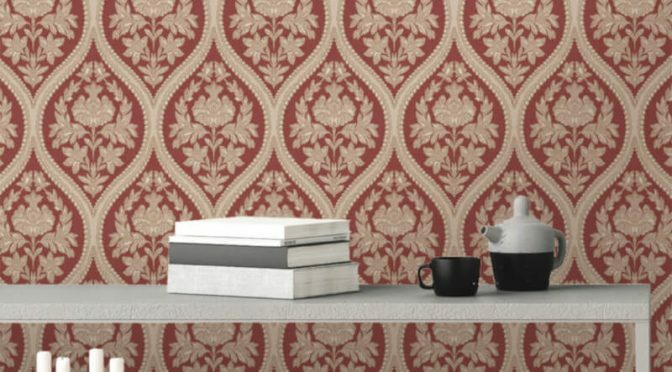 Made of Italian heavyweight textured vinyl, it also features a vintage damask design. This version is brought to life in a red colour scheme and completed by metallic accents. Finally, the Holden Décor Pienza Damask Red Metallic Glitter Wallpaper is perfect for use as a feature wall. It easily combines with other designs from the same collection.